Tahmineh: Kheer is a creamy rice pudding originated from North-western area of the Indian sub continent. 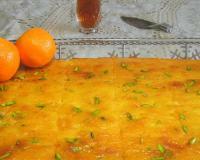 This delicious dessert is flavoured with cardamom and saffron and is full of nutritious nuts. In different parts of the India, Nepal, Pakistan and other Asian countries different version of Kheer is served in festivals and ceremonies and is called by different names like Payasam and Payesh. Although the basic ingredients are milk and sugar, Kheer recipe can be vary by replacing rice with vermicelli and semolina or by using Jaggery (coarse brown Indian sugar made from palm-sap and honey instead of sugar). 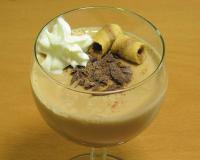 Likewise different nuts can be use in making Kheer, but almond Kheer is the most popular. Kheer is pretty easy to prepare and tastes divine. Enjoy it. 1. 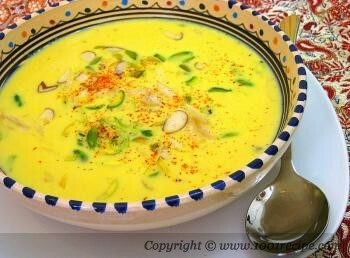 Into a medium pan, add rice, milk and cardamom, bring to boil while stirring frequently to prevent sticking. You can add coffee mate to the mixture to increase its thickness. 2. After rice softens and the mixture consistency starts to thicken, add raisin, almond, pistachio, honey and sugar. 3. Wait for 5 min then add saffron and stir till the color becomes homogeneous. 4. Put the pan aside to reach the room temperature then add the rose water. 5. Serve either warm or chilled. Tastes better than it looks. Looks better than it tastes. Love this one and can't get enough of it. Hi, I agree with Neha... No need for Coffee Mate, Brown Sugar, Saffron, Rose Water, Honey, So much of dryfruits at all... 1.Normal white sugar can very well be used. Honey not required. 2.If only cashew nut or raisins are available in your kitchen it will do. Only raisins will also do. If u want the dryfruits to be a bit soft then put it early. 3.Green Cardamom flavour is good enough no need for rose water.